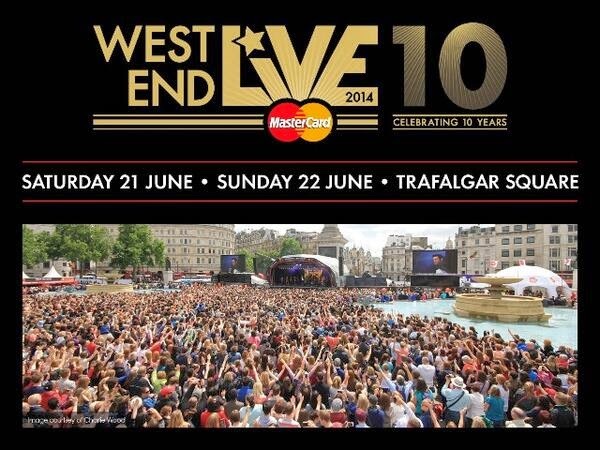 West End Live is the largest free outdoor event is the largest of its kind in the world, with the The lineup now announced for the tenth anniversary which takes place in Trafalgar Square over the weekend of 21st and 22nd June 2014. Regulars returning this year including: Billy Elliot, The Bodyguard, The Lion King, ZooNation's Groove On Down The Road, Jersey Boys, Les Misérables, Let It Be, Mamma Mia!, Matilda The Musical, Once, The Phantom Of The Opera, Stomp, Thriller Live and Wicked! The Commitments launch the event on Saturday with a number of West End Live "first timers" including Miss Saigon, 20th Century Boy, Charlie And The Chocolate Factory, Dirty Rotten Scoundrels, Forbidden Broadway, Porgy And Bess and The Pajama Game. 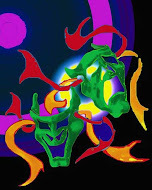 Making their West End Live debut will be English National Opera and The Royal Opera House Chorus led by Plácido Domingo who will conclude Saturday's programme performing a selection of opera classics. As part of the 10th birthday celebrations on Sunday there will be a special cabaret: "10 from 10", featuring ten iconic songs from some of the event's favourite shows performed by some of Theatreland's best loved names. For the first time this year there will be a free Theatre Emporium in a 1920s Spiegeltent where the public can "peek behind the scenes and discover all the elements that bring a theatrical production to the stage." The full running order with details of the hosts will be available soon.